Cotton seeds carried to the moon by a Chinese probe have sprouted, marking what could be the first plant to ever grow there. In the announcement Tuesday, Chinese researchers showed pictures from the probe showing the tiny plant growing in a small pot inside the spacecraft, hundreds of thousands of kilometers away from the Earth. The Chang’e 4 lunar mission is intended to accomplish a range of tasks, including conducting the first lunar low-frequency radio astronomy experiment and exploring whether there is water at the moon’s poles. Another purpose of the mission was to test whether plants could grow in a low-gravity environment, which appears to have already produced results. While human beings have grown plants in space before, they’ve never attempted to grow one on the moon. Xie Gengxin, the chief designer of the experiment, praised the achievement on the university’s blog. “This (mission) has achieved the first biological experiment on the moon of human history. And with time moving on, it’ll be the first plant with green leaves on the moon,” Xie said. Chinese scientists are also attempting to grow seeds from rapeseed, potato and mouse-ear cress, and are trying to hatch fruit fly eggs. The experiment will show how life develops in low gravity and strong radiation environments. It could even help provide a blueprint for growing resources during a future moon colony established by humans. China’s ambitions for space and lunar exploration aren’t limited to the current mission. On Monday, China’s space agency announced the Chang’e 5 lunar mission would be launched by the end of the year with a goal to bring moon samples back to Earth. The country’s first mission to Mars is scheduled for around 2020, Wu Yanhua, deputy head of China National Space Administration, said at a news conference in Beijing Monday. 1. Where did the cotton seeds carried to the moon sprout? A In a small pot in the research center. B In a small pot inside the spacecraft. C In a small pot outside the spacecraft. D In a small pot on the moon surface. 2. Which of the following is NOT the purpose of the Chang’e 4 lunar mission? A To carry out the first lunar low-frequency radio astronomy experiment. B To find whether there is water on the moon’s poles. C To plant a lot of the green trees on the moon. D To test whether plants could grow in a low-gravity environment. 3. What did Xie Gengxin think of the experiment? 4. What can we conclude from the last two paragraphs? 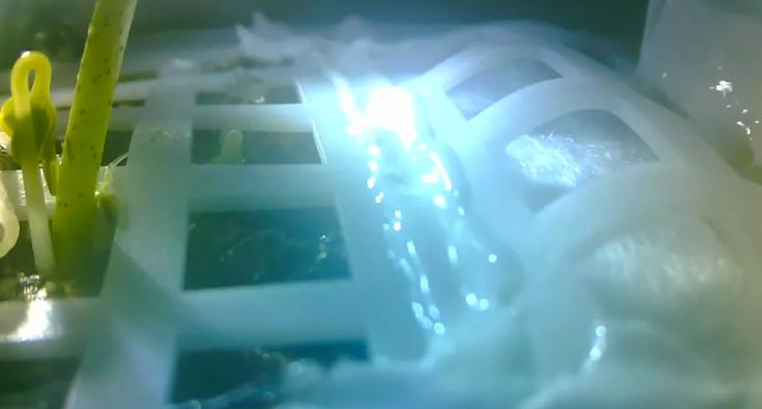 A Chinese scientists have successfully grown other seeds on the moon. B Life can’t grow in low gravity and strong radiation environments. C China has great ambitions for space and lunar exploration. D The Chang’e 5 lunar mission will be the first mission to Mars.